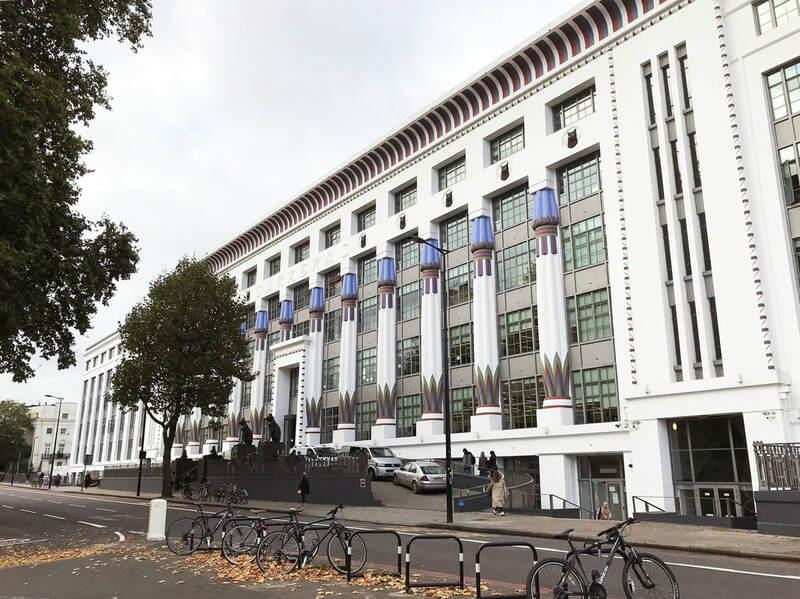 Notes: Large art deco former factory building in Mornington Crescent, now called Greater London House. The plans for the main structure were by A.G. Porri, with the Egyptian influenced facade designed by M.E. and O.H. Collins.